The team at CTG Windows would love to help. We’ve spent the past several decades developing a strong expertise in this field. 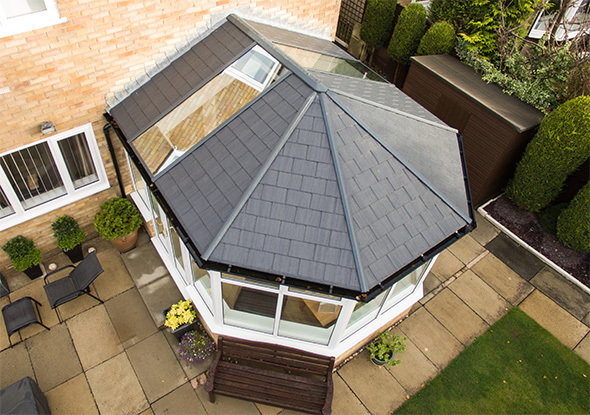 We can guide you towards finding the right style, shape, size, roof type and glazing for your conservatory, then step back while you add your personal style flourishes. Is money on your mind? We offer very flexible and attractive payment options. So when your thoughts turn to your finances, we’ll be ready to discuss the options with you. 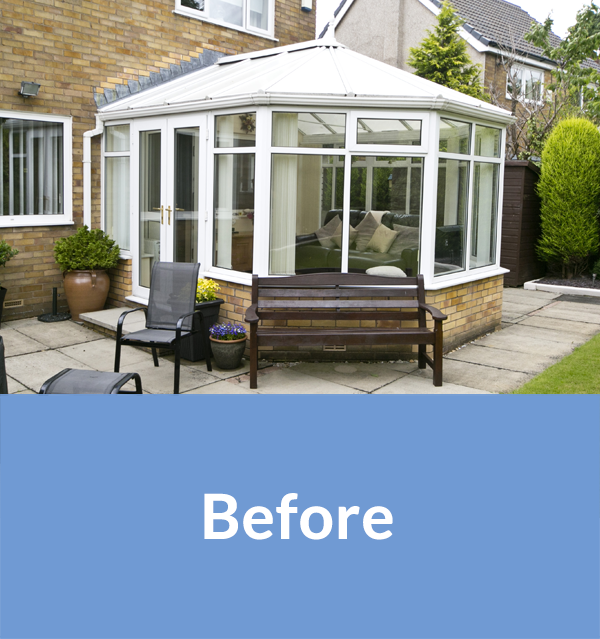 Renovate your old conservatory, don’t rip it down! 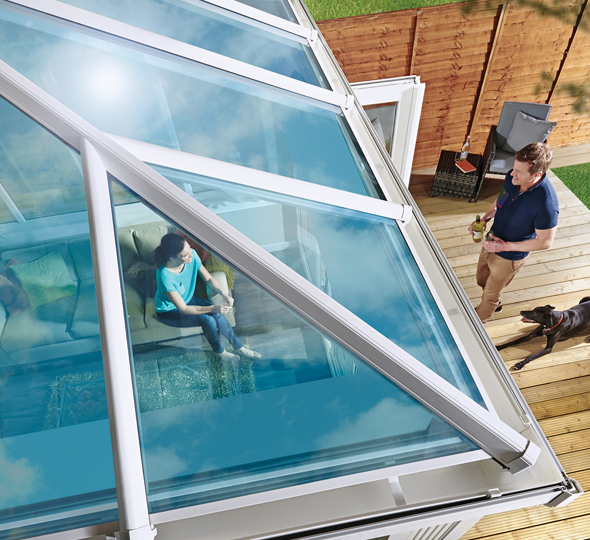 What worked in your home 20 years ago doesn’t necessarily work today – and never has this aphorism been more true than when discussing conservatories. 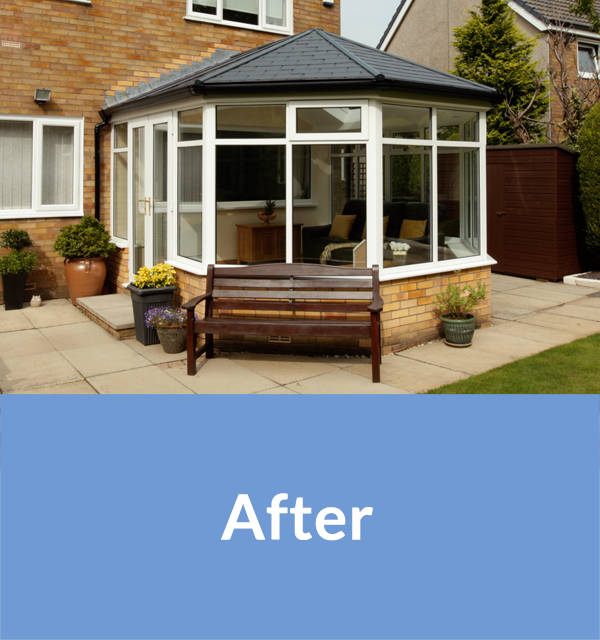 But don’t be too quick to condemn your tired old conservatory – perhaps a stunning new roof will give it the makeover it’s been begging for. A tiled roof will create a vaulted ceiling, completely changing the look and feel of the space. Glass panels can be added to keep the light flooding in. WE ASKED OUR CLIENTS IF THEY WERE WOWED BY THEIR CTG WINDOWS HOME IMPROVEMENT. The windows are great and the fitters left the house cleaner than they found it! Excellent value for money and excellent service from start to finish. Thank you.